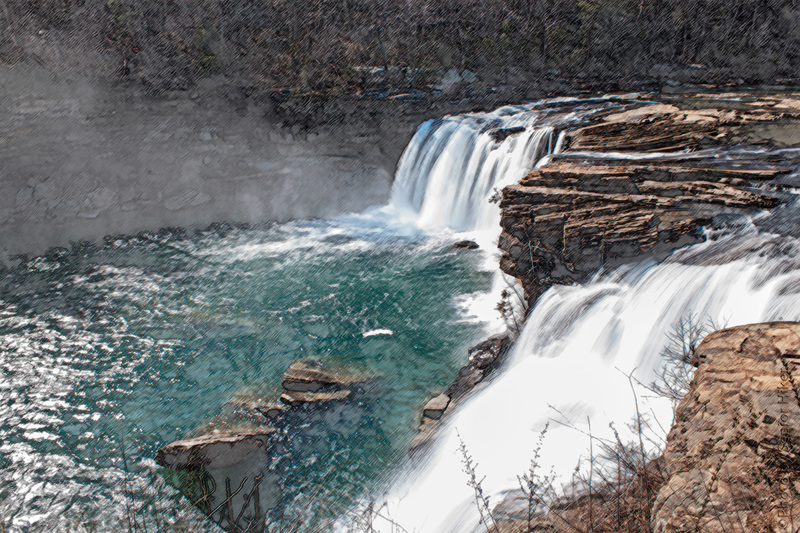 Little River Falls near Fort Payne, Alabama, is a place My Beautiful Bride and I have visited several times. I got a photo of the falls several years ago when Betsy took me there for my birthday. Although I thought the photo was nice, I also felt it needed something ‘extra’. So I used my computer to turn the photo into this line drawing. Isn’t software wonderful? Winter may not be gone for good, but daffodils are always a welcome sight in our yard since they tell us that Spring is coming. 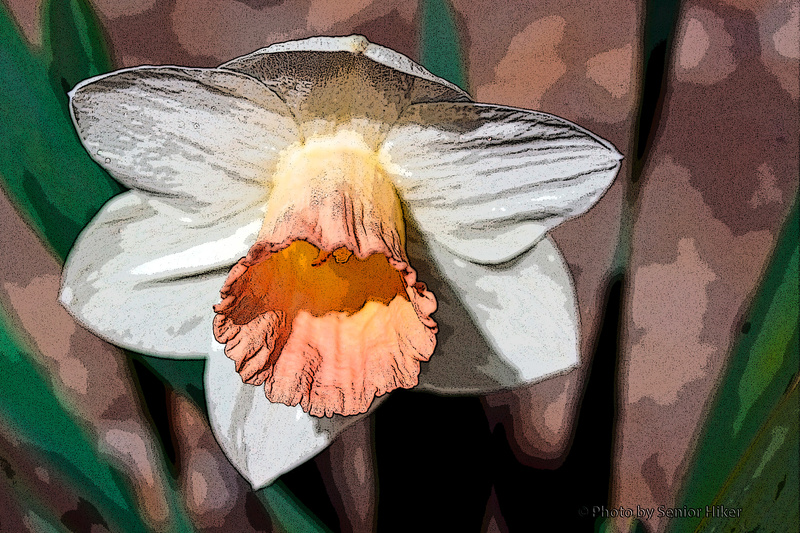 This ‘painting’ of a Pink Silk daffodil was created in Photoshop from a picture taken in our yard.